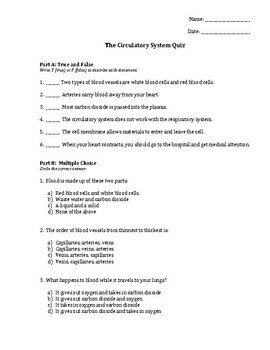 This 2 page quiz on the circulatory system acts as a great assessment in your science unit. 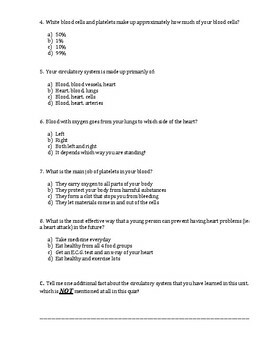 The quiz includes 6 true or false questions, and 8 multiple choice questions. It is very easy for the teacher to mark!